I’m a historian of East Africa with a particular emphasis on the Great Lakes region. My research and teaching interests center on medical history, historical anthropology, and multidisciplinary methodologies for writing African history. 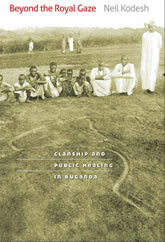 My first book, Beyond the Royal Gaze: Clanship and Public Healing in Buganda, examined how the domains of politics and public healing were intimately entwined in Buganda, a kingdom located on the northwest shores of Lake Victoria in present-day Uganda, from the sixteenth through the early nineteenth centuries. 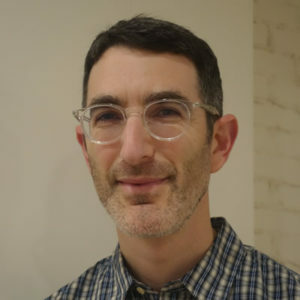 The book won the Melville Herskovits Prize of the African Studies Association. “Networks of Knowledge: Clanship and Collective Well-Being in Buganda,” The Journal of African History 49, 2 (July 2008): 197-216. “History from the Healer’s Shrine: Genre, Historical Imagination, and Early Ganda History,” Comparative Studies in Society and History, 49, 3 (July 2007): 527-552. “Renovating Tradition: The Discourse of Succession in Colonial Buganda,” The International Journal of African Historical Studies, 34:3 (2001), 511-542.